This is probably art you’ll want to click through to view if you want to see the whole thing in any detail. 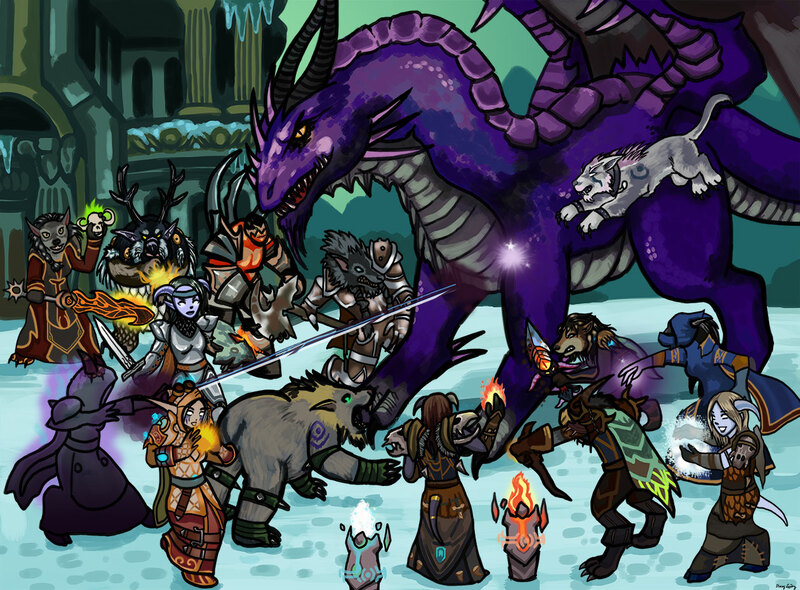 This is the conclusion of an EPIC odyssey of painting done for Kumineko on Twitter of all of his Warcraft characters. This took me ages to do and to finish. I’ve actually come to realize that huge commissions of this type are not the best thing for me. I tend to get bogged down in the details and lose focus. It could be something I choose to work on in the future, but for right now I think it’s good to know your limits! 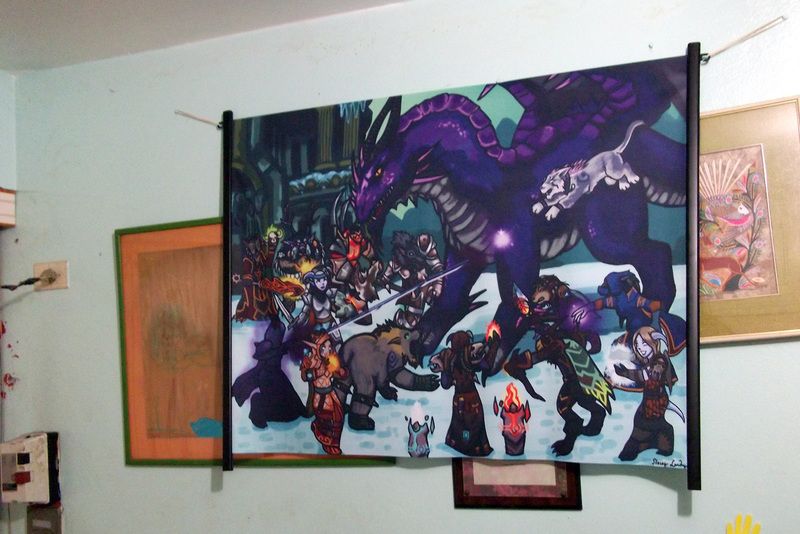 Here it is printed out and hung up. As you can see, it wasn’t a small piece either, having been intended to be poster-sized. TA DA. (Sorry, but that’s how I feel when I look at this photograph, haha). I’m glad it printed really well and I am proud of it, I just now know how much work such an image entails!